Apple is now the world's most valuable company. So what next? Is an Apple iCar on the way? Thanks to the enormous success of the iPod, the iPad, the iPhone and the Mac, Apple is now at the most momentous point in its 28-year history. It's incredibly rich - richer than Microsoft and Google, and richer than some European countries. Still not convinced of its richness? Then how about this: at one point in summer 2011, it sat on more cash than the entire US government. Today, Apple has more than $100 billion in the bank and plenty of plans for the future. That's quite some war chest. Before his death in October 2011, the late CEO Steve Jobs carefully laid out plans for a slew of new products that would keep the company ahead of the game for the next four years. But one of them is worthy of special attention, because it proves that Steve and Apple were both excited about creating disruptive products that would change entire markets, just as the company had with the iPod, the iPhone and the iPad. In one interview with his biographer Walter Isaacson, Steve Jobs said: "I'd like to create an integrated television set that is completely easy to use. It would be seamlessly synced with all your devices and iCloud… it will have the simplest user interface you can imagine. I finally cracked it." Since then, the rumours surrounding the potential launch of such a TV - dubbed iTV - have reached fever pitch: TV makers from Samsung to Sharp have been named as possible partners, while in May, Apple's chief hardware maker confirmed (then almost immediately denied) that it was in the frame too. Most pundits believe that the TV - if it exists - will combine the features of Apple's existing 'hobby' set-top box, the £99 Apple TV, with controls that combine Siri-like voice integration with Microsoft Kinect-style motion capture, so you can change channels or change the volume using simple mid-air gestures. Both Apple and Steve Jobs' interest in this area is perhaps not surprising. Apple already has much of the know-how, an established track record producing innovative, high-quality displays and, of course, has the iTunes Store and iCloud, which give it the ability to serve up huge amounts of TV and movie content via broadband. The idea of creating an integrated television set is also not that surprising: many TV makers – including Panasonic, Samsung and Sony - already give owners of their integrated 'SmartTVs' access to programmes, movies and interactive content via broadband internet connections. What will make Apple's own version different will be its integration with the Apple products you already own, along with a seamless, easy-to-use UI, based around iOS. But there's arguably another bigger play Apple can make here, and you only have to look at Sony to see how it could work: it has its own record label (Sony Music Entertainment), its own movie studio (Sony Pictures), its own animation studio (Sony Pictures Animation) and a growing interest in TV broadcasting through Sony Pictures Television in the United States and elsewhere. It also makes a lot of broadcasting hardware, of course, but you can see where we're going here. If Steve Jobs was still alive you could easily imagine that some kind of tie-up or even takeover of Disney could be on the cards. When we wrote about the launch of iCloud and Apple's plans for its huge datacentre in Maiden, North Carolina, we also pointed to numerous rumours that Apple was already paving the way to become a major TV content provider. These moves appear to have gathered pace in recent months. In March, Business Insider reported that Apple was continuing to negotiate hard with programme makers and US cable TV providers to get programme content onto the Apple TV platform. Then Business Insider speculated that this would enable Apple to create channels for broadcasters inside the Apple TV user interface - something that already appears to be happening with ongoing talks about Apple and Disney over sports network ESPN. Apple certainly has deep enough pockets to make it even more attractive to programme makers. Ever since Apple launched the iPhone in 2007, pundits have been speculating, if not predicting, that Apple will want to launch its own mobile network at some point. It's not hard to see why: using an iPhone or iPad on some mobile networks in the US can be a miserable experience, with patchy coverage and low data limits. Even in the UK, mobile networks have been covering the amount of mobile data you can consume before exorbitant charges kick in. There has to be a better way, and Apple could be the company to provide it. It certainly has an interest in doing so: both the iPhone 4S and new iPad offer built-in support for LTE (aka 4G) networks, although coverage worldwide is not great or, if you're in the UK right now, non-existent. Apple is also at its best when it delivers the complete end-to-end solution; right now it has to rely on carriers to support its iPhone user experience and very often they're just not up to the task. Apple could theoretically bid for of the radio spectrum that will become available once the last analogue TV broadcasts are shut down later this year. The catch, of course, is that Apple would have to have the support infrastructure - mobile telephone masts and all the rest - in place to be able to do this, couldn't piggyback on an existing infrastructure. A good start here would be to buy one of the US carriers. Sprint is the most likely candidate, with its existing 3G network and WiMax 4G business, in the shape of Clearwire, which reaches 120 million people. Apple could spin off a data service of its own, providing a dedicated 4G offering for iPhone users while keeping Sprint's existing customer base. It's an idea that's certainly worth thinking about: imagine how easy it would be walking into an Apple Store to buy an iPhone and signing up to AppleNet! Exciting though the prospect may be, the potential to enjoy even more programme content through Apple TV and other Apple devices only really tells half the story. It's in the mobile gaming space where Apple has had the biggest impact: Nintendo's been repeatedly hammered by Apple in this field and even posted its first ever loss in April, due to lacklustre sales of the 3DS and rapidly declining interest in the Wii. Even Sony is struggling in the face of the Apple onslaught, with the launch of the PlayStation Vita receiving both a lukewarm welcome and, thus far, unconvincing sales to boot. In both cases, it's the enduring appeal of affordable titles like Angry Birds on iOS among casual gamers that are partly to blame for the relative lack of success in portable gaming for Sony and Nintendo. There's also the undeniable fact that with the iPhone and iPad Apple is giving users a killer combination of features, along with a seamless user experience and huge increases in display resolution and processor power. If you own an iPad, you already know that it's easy to play games on the device through your TV using the Apple Display Connector. 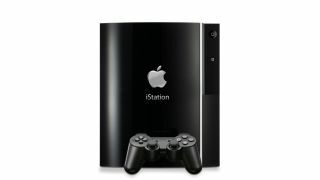 But the next logical step could see Apple embark on a TV-centred games console of its own - something that could either be delivered through gameplaying capabilities inside the Apple TV set or via a separate box. Another alternative would be to partner with a streaming games company such as OnLive or Gaikai, which runs the game in a datacentre and then streams the video to a dumb terminal under your TV. This would suit Apple's iCloud strategy while also removing the need for powerful hardware in the box itself. There was a brief flurry of excitement in March this year when it was rumoured that Apple CEO Tim Cook had been to visit the HQ of Valve - makers of online gaming platform Steam - although this was swiftly denied. However rumours persist that Valve is indeed working on a games console at its labs. But even if the story turns out to be totally wrong, you can bet that Apple is at least toying with the idea - no matter how hard it would want to avoid resurrecting memories of its last disastrous foray into gaming. Remember the Bandai Pippin? Current page: Where next for Apple? Next Page Is an Apple iCar on the way?